I’ll be honest, though, I’m struggling to see the differences between this new facelifted model and the current one. There’s camouflage on the front and rear ends, sure, but I’m not so certain it covers anything new. The headlights look exactly the same as the current car’s, so too do its front air intakes and bumper. It even retains the tiny front lip. Out back, the only real difference I can make out is the shape of the wing. The rest of the rear seems about identical, with the same taillights, rear bumper and gigantic oval exhausts. The rear wing looks a bit different, though, with little side pieces at either end of it that aren’t present on the current TT RS’. Aside from that wing, though, we don’t really see anything new. However, we’re hoping that it sports some new bits underneath the skin. While the engine and transmission are both great and in no need of upgrading, it could use some work on its steering and ride. As-standard, the Audi TT RS is a bit too stiff and it lacks some of the steering precision of a specific competitor, the Porsche Cayman. So it could use some improvement in those regards but not much. Inside, we don’t expect many changes to the interior. The only thing we can really see Audi changing is maybe the Virtual Cockpit, as it could get updated to Audi’s latest unit. 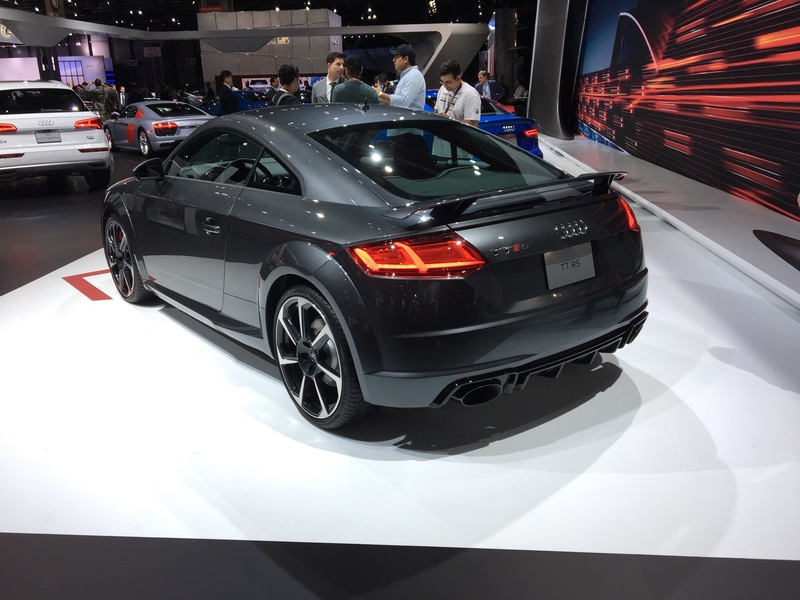 Overall, the Audi TT RS is a really solid overall performance package that doesn’t need much tweaking. Don’t fix what ain’t broke, I guess.